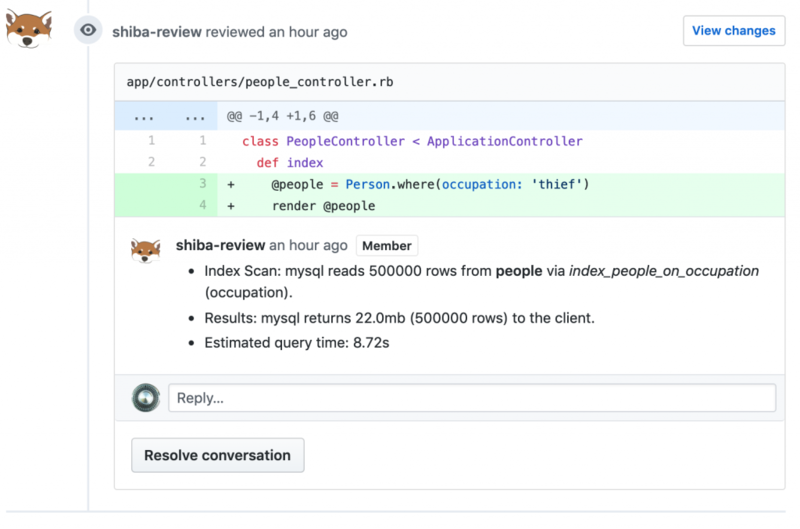 Shiba compares queries in your test suite with production database statistics and generates realistic query analysis. Shiba warns you – via a pull request comment – about missed indexes, queries that select too much data, and large result set sizes. Interested? Learn more about Shiba-SQL here.